no max. $500 $750 $1,000 $1,500 $2,000 $2,500 $3,000 $3,500 $4,000 $4,500 $5,000 $5,500 no max. 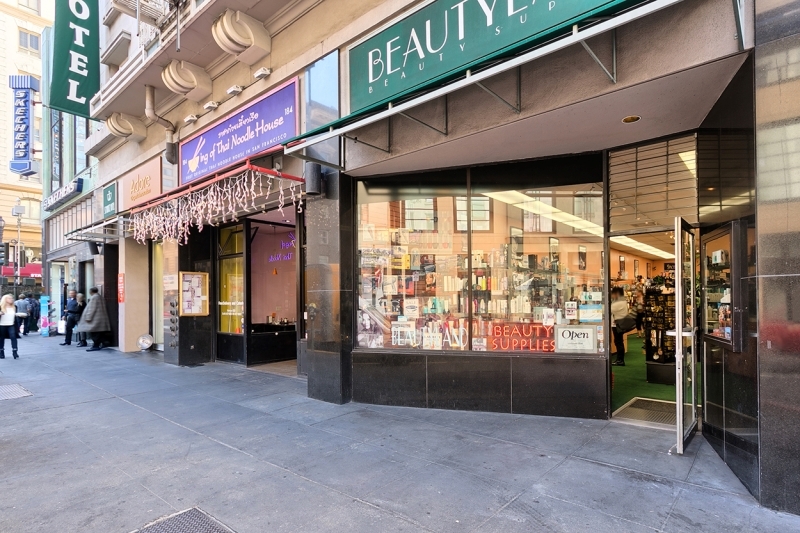 Ground floor retail space in the heart of Union Square. 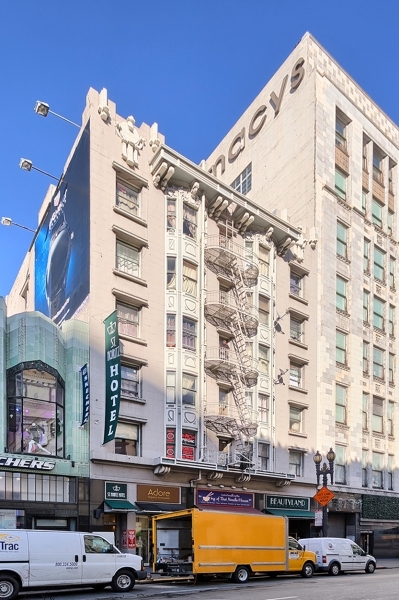 Union Square is surrounded by high end department stores and notable hotels. Occasionally Union Square will host a collection of art available to purchase or public events for the community to enjoy. During the Christmas season, Union Square is transformed into a winter fairy-tale with an ice rink, transformed display cases in the various department store windows and ample holiday decorations in the surrounding hotels. With over 160 Shops to choose from, the Westfield Shopping Centre is San Francisco’s largest retail shopping center. The basement of the Shopping Centre holds a food court with gourmet choices and a Bristol Farms grocery store. At the top floor of the Centre is a movie theater screening blockbuster movies. The Moscone Center was originally built in 1981 and is San Francisco’s largest convention hall and complex. The center has a long history of notable clients ranging from Apple to Salesforce. Food courts are located in the basement of Westfield San Francisco Shopping Centre, as well as in the basement of Macy’s. 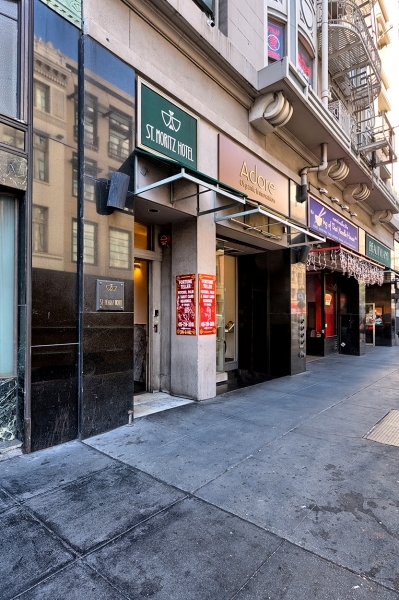 You can also find diverse restaurants alongside Powell street. 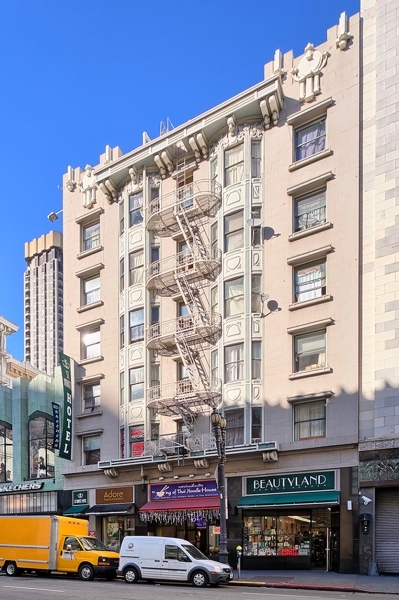 There are highly recognized hotels like the The Westin St. Francis San Francisco and Grand Hyatt, but also smaller boutique hotels such as The Herbert and Hotel Fusion.